One of Sunnyside’s best kept secrets is definitely De Mole. Not only is their dinner spectacular, but their brunch is to die for. Every time my dining partner and I go we sit in the same spot by the window. I’m not sure how this happens, but it’s a pleasant coincidence. This week, I ordered Huevos con Chorizo. 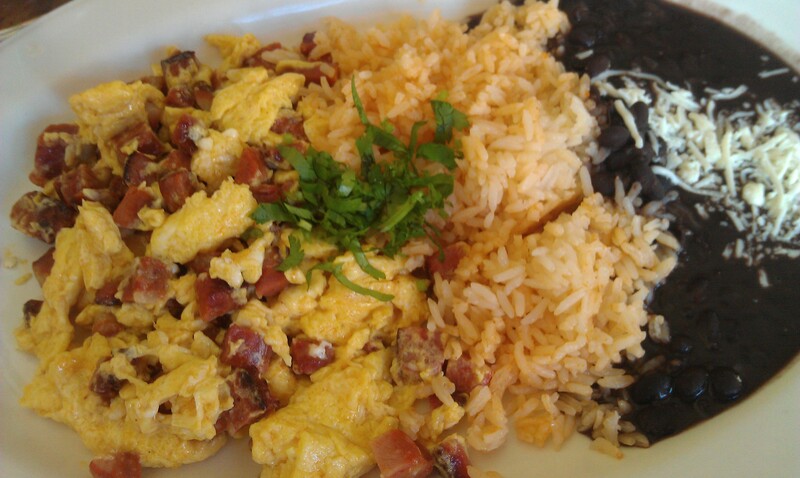 The eggs are scrambled to perfection with chunks of spicy chorizo. 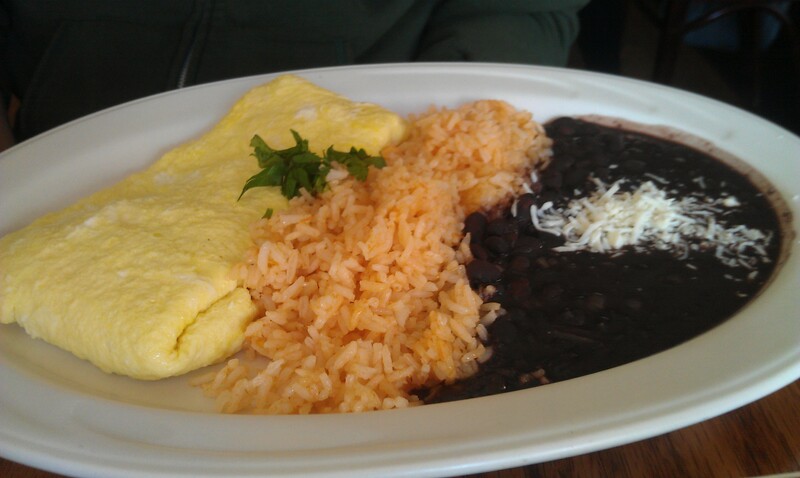 All egg platters are served with rice, beans, and tortillas. One of my favorite breakfast activities is assembling egg sandwiches. At De Mole, I can make my own mini breakfast burritos. Yum! I love the shredded cilantro on top! Breakfast at De Mole is the tops. They also serve a rich, smooth Columbian coffee. Come to Sunnyside some time to try it out!